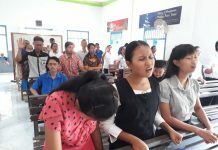 Hallelujah on Tuesday, May 29th, 2018 Praise and Divine Healing Service (KPPI) was held in cooperation with the churches in Bengkulu. The churches that cooperated with are: GPdI Sion (Rev. Sulaiman), GPdI Haleluyah (Rev. Manulang), GKII Victory (Rev. Sihombing), GBI Bengkulu (Rev. Silaen), GPdI Elshadai (Rev. Purnamasari), GEKARI (Rev. Sriyati and Rev. Bekti), GPIN (Rev. Untung), GBIS Ketahun (Rev. 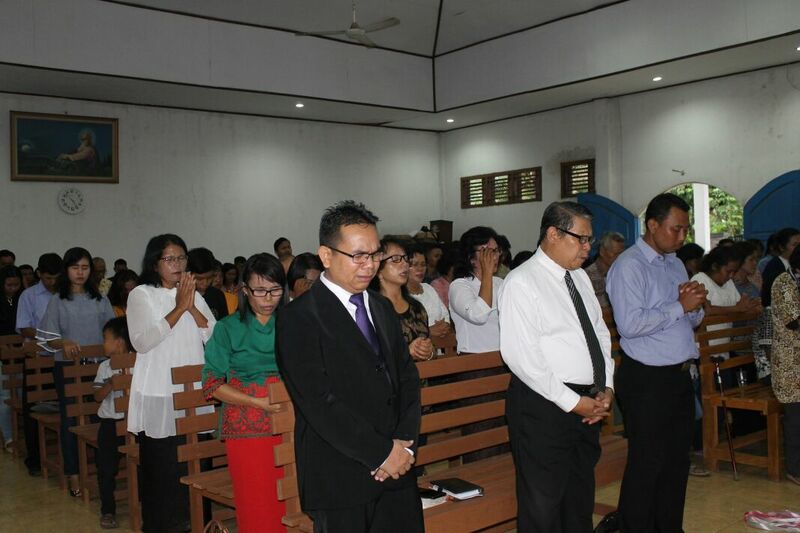 Andreas), and GPdI Sukaraja (Rev. Sumule). The day has come. Praise and Divine Healing Service (KPPI) started at 4.15 PM, the opening prayer by Rev. Eddie Manulang (GPdI Haleluyah). It was followed by praises where the worship leader invited the whole congregations to praise God with joy. And all them sincerely praise and worship God. After that a film of healing testimony from a woman who was cured by the Lord from earache at KPPI Banyuwangi, was aired. As the film of healing testimony was being aired, the congregations watched seriously and their faith were raised. Word of God was given by Rev. 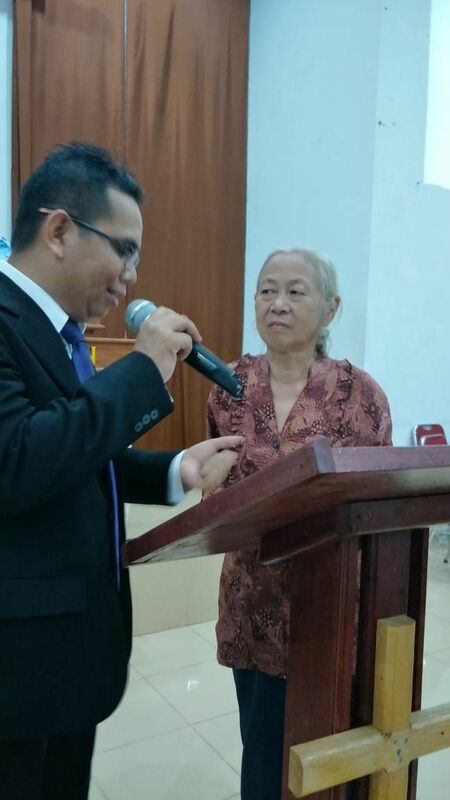 Fairy Gultom (KPPI Jakarta), delivered from Mark 10: 46-52 about Bartimaeus who was healed by God from blindness. Because of this pain he was very dependent on others. As the Lord Jesus passed, he began to cry out to the Lord Jesus. Despite being reprimanded by those around him to keep silent, he still called out to the Lord Jesus. He remained faithful. God looked upon the faith of this blind beggar, so the Lord Jesus healed him. The servant of God asked the congregations to have faith in God, for miracles only happen if there is faith in our hearts. The servant of God requested them to return to love God and to receive God personally. Praise God all of them wanted to believe in the Lord Jesus as Lord and Savior in their hearts. Furthermore, the servant of God invited the sick to come forward to be prayed for by God’s servants, they are: Rev. Soleman (GPdI Sion), Rev. Edward Manulang (GPdI Haleluyah), Rev. Sriyati (Gekari), Rev. Untung (GPIN), Rev. 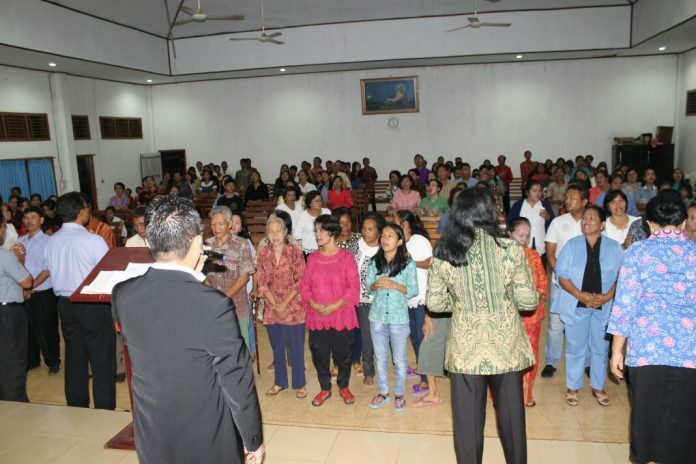 Silaen (GBI Bengkulu), Rev. Andreas (GBIS), Rev. Sari (GPdI Elshadai), Rev. Sumule (GPdI Sukaraja), and Rev. Sihombing (GKII Victory). And the counselors also came forward to pray for the sick people. That evening so many came forward and believed that God would cure them from their illness. Praise the Lord, Jesus has not changed, God healed the sick. There was a woman who was recovered from kidney disease, when coming she shivered, after being prayed then the pain disappeared. Also there was a man who had suffered from waist pain due to nerve pain for 20 years. Having been prayed by the servant of God then this man could move his waist without pain. There was also a woman who had stomach ache and God healed her. A young boy who suffered from stiff neck, but after being prayed his neck was not stiff anymore and the lump deflated. Thank God! That evening God also healed a woman who suffered from stroke and other illness God healed as well. 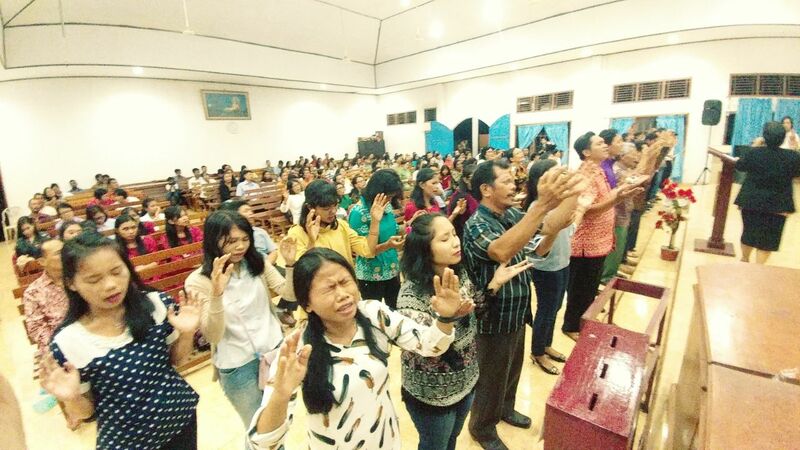 Blessed be the Lord who has done great things among His beloved people in Bengkulu city! The closing prayer by Rev. Soleman Maxy Geradus, M.Th. 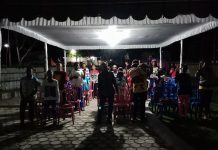 In that evening God’s servants and the congregations who were present at KPPI in cooperation with the churches of Bengkulu city rejoiced to see the work of God revealed in their midst. Glory only to God!